The roof over our head protects us from many different things. It gives us shelter, warmth, hides us from adverse weather and it’s great at making us feel safe. However, as much as we love our roof for providing us so much comfort, it takes a beating in order to do so. Imagine what it’s like for a roof; it’s constantly battered by snow, hail and rain, it’s always blown around by gusts of wind and there’s no shortage of debris, rodents and insects that run amok on it. But no matter how sturdy you think your roof is, chances are it’s not actually holding up very well anymore. Old and damaged roofs can easily start to crack and become a hazard more than a safety. If you’re worried about the wellbeing of you and your children, then here are a few telltale signs that your roof needs to be replaced as soon as possible. The first major sign that your roof needs to be replaced is missing or cracked shingles. 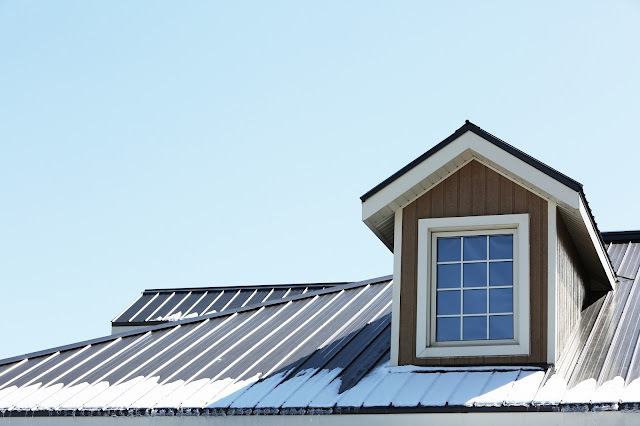 In addition, if your shingle edges are curled then it’s also a sign that you need to have your roof replaced as soon as you can. A cracked or curled shingle could mean a number of different things. It could be caused by the ultraviolet rays that are coming from the sun. It causes the shingles to dry up and become brittle, which causes them to crack and sometimes curl up at the edges. This usually means that the shingles are very old or the material used wasn’t very good quality. In addition, it could also mean that weather damage has cracked your shingles and is now causing leaks in the home. If your home has been around for at least 15 years, then chances are it’s starting to look worn and old. It’ll start to crack and look aged, shingles might be missing and it just looks unpleasant. Although there might not be leaks in your home yet or other noticeable damage that is negatively affecting your life, it’s only a matter of time until something bad happens and the roof collapses or opens up a huge hole for water to pour in. It’s worth contacting a roofing specialist such as Texas Star Roofing to speak with about your roof. Tell them about your situation and they’ll manually inspect your roof and see if it’s worth replacing or not. If you live in a cool climate, then chances are your roof is probably infested with moss especially after the winter and spring seasons where reason is more abundant. Moss growth is usually just an appearance issue that can easily be remedied by blasting the moss off with a pressure cleaner or scrubbing it off, but there are times when moss growth could indicate larger problems. In addition to rolling off and blocking gutters, moss can trap water between tiles and, if you live in a cold climate, it could freeze when it seeps into your tiles, causing them to crack and split.